Every day people are dying on waiting lists for organ donations. At the same time political prisoners organs are being harvested for sale on the black market. Over the past twenty years in the United States alone the number of people who were put on an organ waiting list has skyrocketed to over 100,000 individuals. This is a medical crisis that is continuing to grow exponentially. Future technologies that are being developed and researched today will have the potential to liberate individuals from the shackles of government funded organ donation programs, the impacts of which could change the world as we know it. He defined stereolithography as a method and apparatus for making solid objects by successively “printing” thin layers of the ultraviolet curable material one on top of the other. In Hull’s patent, a concentrated beam of ultraviolet light is focused onto the surface of a vat filled with liquid photopolymer. 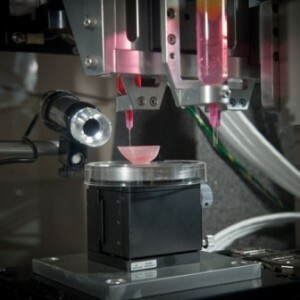 The light beam, moving under computer control, draws each layer of the object onto the surface of the liquid. Wherever the beam strikes the surface, the photopolymer polymerizes/crosslinks and changes to a solid. An advanced CAD/CAM/CAE software mathematically slices the computer model of the object into a large number of thin layers. The process then builds the object layer by layer starting with the bottom layer, on an elevator that is lowered slightly after solidification of each layer. You’re probably wondering; how could this possibly change the world? Well, people have been producing everything from prosthetics to desserts to firearms, even a house! As prices continue to come down and more people, companies, and organizations are afforded the opportunity to work with 3-D printing, who knows where the innovation will take us. The year was 1999 when scientists at Wake Forest Institute for Regenerative Medicine made history and laid the ground work by successfully implanting engineered, laboratory-grown, bladder tissue into human patients. This was just the beginning for the WFIRM team, they have accomplished a great deal of other medical “world firsts” as well. They have engineered replacement tissues and organs such as flat structures, tubular tissue, and hollow and solid organs. Going forward, the research and development of bioengineering will be undertaken by various other scientists, organizations and institutions. In the time between the inception and today a lot of ground has been covered. Long Beach, California was host in March of 2011 to surgeon Anthony Atala who was a speaker at a T.E.D. conference. He begins the talk by addressing the overwhelming organ transplant crisis and how regenerative medicine is working to curb that problem. He briefly discusses biomaterial and its applications and shows amazing videos of bio-engineered organs, all leading to the show stopper, a 3-D printed kidney. Although not ready for implementation, seeing is believing. Knowing the future is limited only by our imaginations is a wonderful thought. So, let’s help our fellow individuals who are in need. 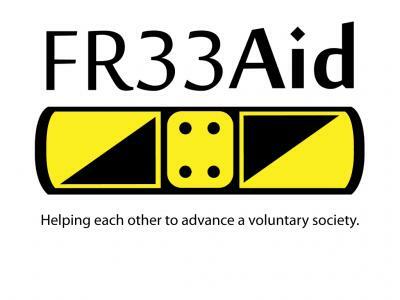 It’s the Fr33 Aid way! The potential to change the world, and eradicate waiting lists for people who need organ transplants exists and is here now.